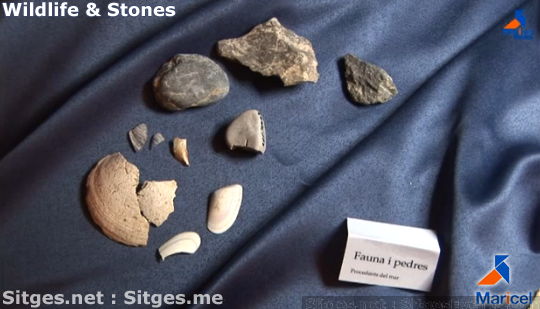 Plus new archaeological discoveries, pins, ceramics and fishing gear. 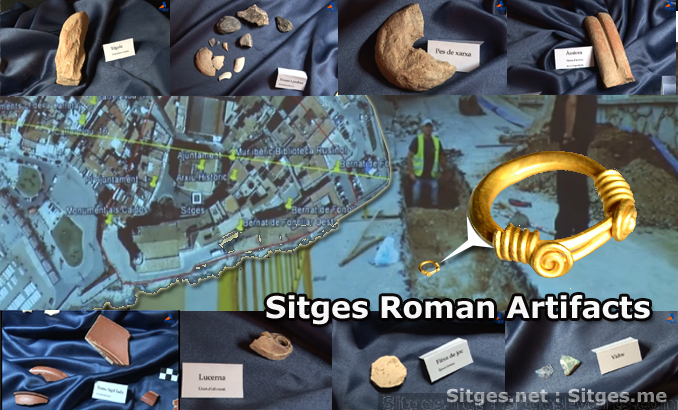 Suggesting Iberian and Roman Sitges (Puig de Sitges) was bigger than thought, at 2 hectares and a larger archaeological site. 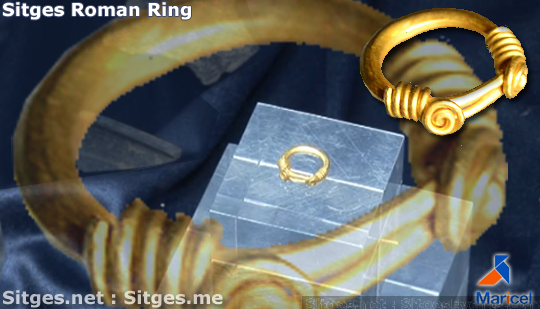 Unusual for the Iberian peninsula, with the only similar find being in England, dating from the second century. 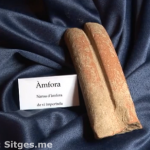 Supporting archaeological efforts before future builds in the area. 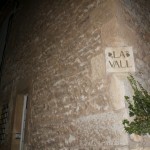 Something lacking in the nineteenth-century. 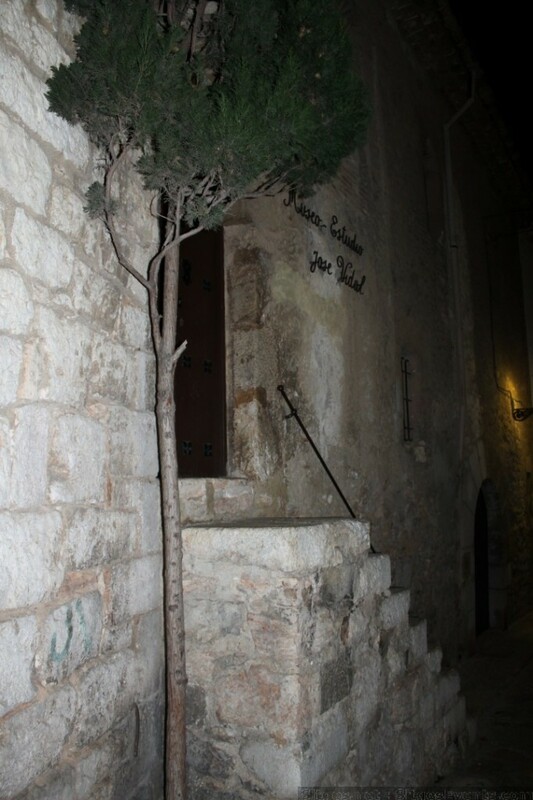 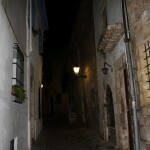 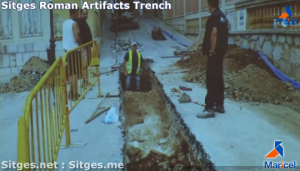 The piece was half a meter below the surface, between the pavement and limestone on which sits the old town (Racó de la Calma). 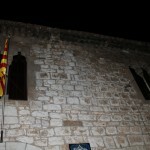 A Medieval wall, on top of an Iberian one, was also documented. 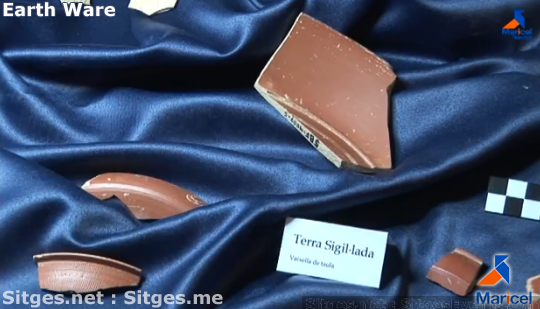 Pottery was found, confirming Iberian full time settlement (fourth century BC). 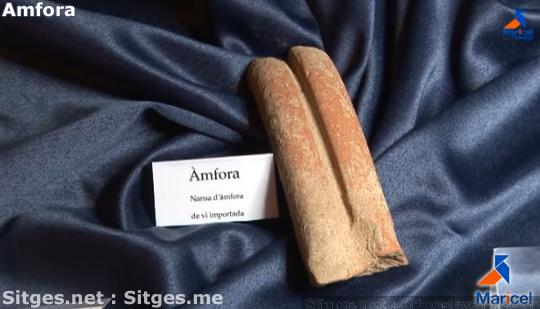 Other early Iron Age items showed settlement (seventh century BC). Much of the original archaeological ground (hill) has disappeared or moved, over the centuries, with piping/services works. 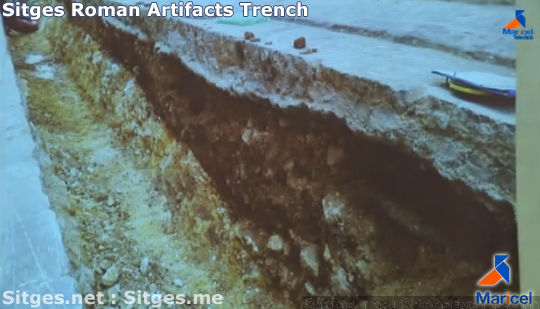 At the top of the trench, on ‘Carrer Bernat de Fonollar’, the original surface survives near ‘Sarcòfag del Vinyet’ (al Racó de la Calma). 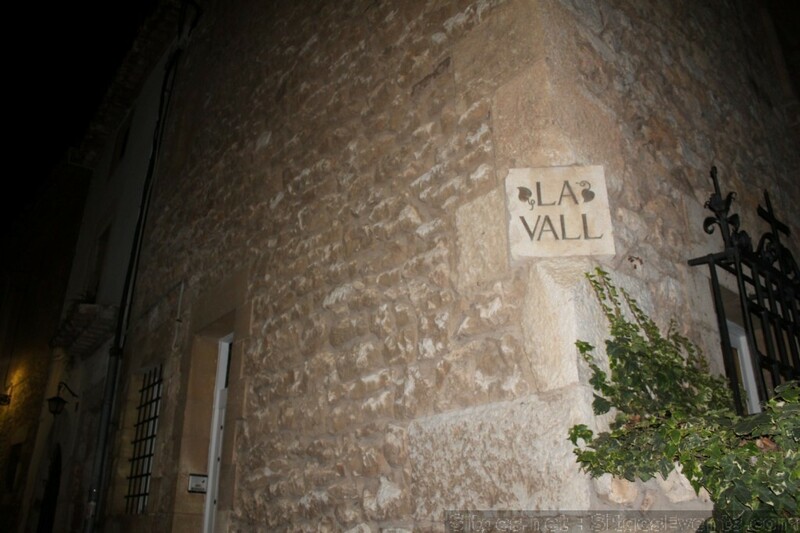 With 3 stones being be the last remnants of an old wall. The last twelve meters of the trench uncovered the remains of ancient stratum (layers) of sedimentation, consisting of clays and dark brown silts (coal, stucco fallen from a nearby walls and old materials). 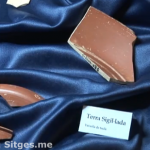 Including Iberian ceramics of painted gray pottery from the Catalan coast, pottery with black ceramic coating, floor pieces, Roman kitchen pottery, a Lucerne handle, glass shards, thin ceramic pieces and other fragments. 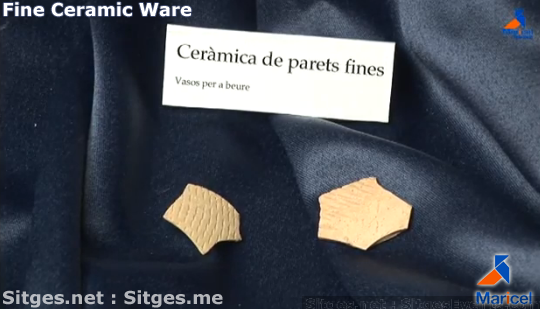 With pieces form the late first century AD, probably from the time of the emperors Domitian or Nerva. 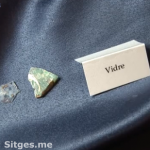 Fragments from a glazed Melati bowl, from the thirteenth and fourteenth centuries. 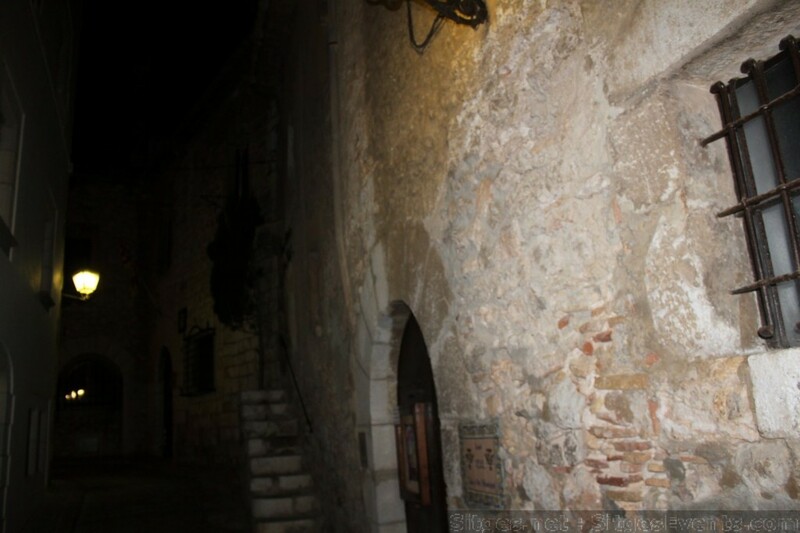 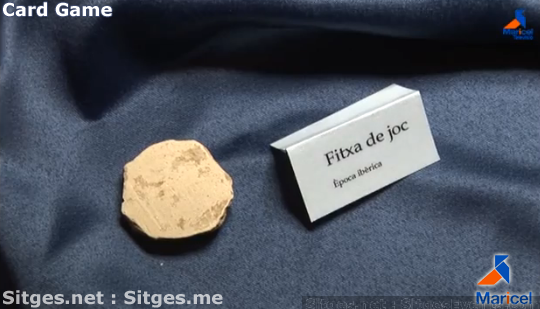 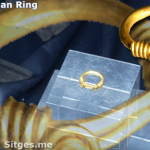 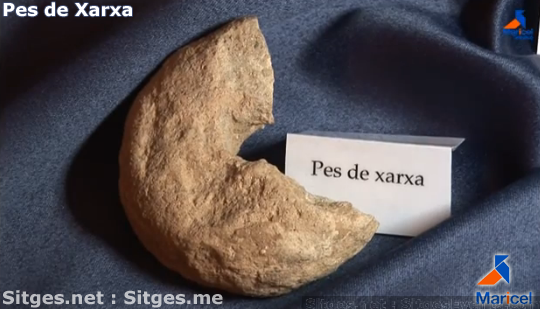 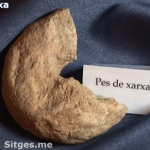 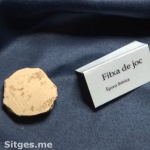 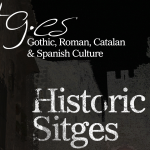 The excavations conducted by Joan Garcia-Targa has led to other archaeological research in Sitges, with the archaeologist manager of Heritage Consortium in Sitges (Consorci del Patrimoni de Sitges), Pedro Izquierdo Tugas. 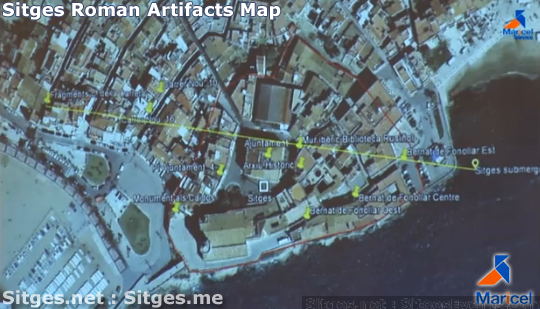 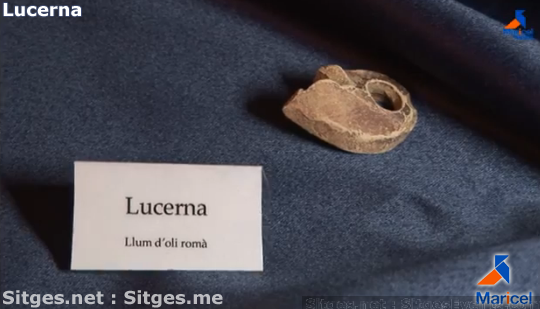 In 2000, remains of a wall from the Iberian period were found around the Rusiñol Library, and between 2001 and 2002 early Iron Age and Roman pits were discovered locally *Silos : Sitges”. 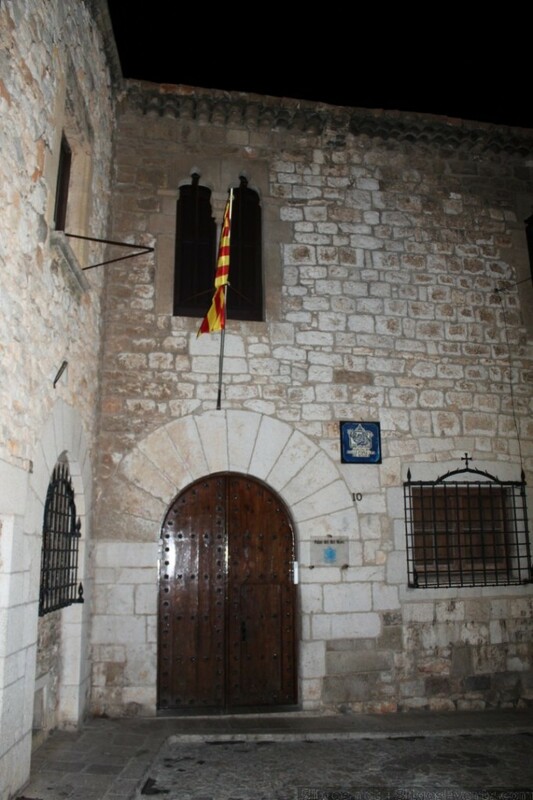 In 2004 appeared six more at number 4 Town Hall Square (plaça de l’Ajuntament). 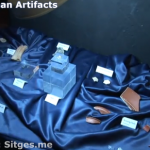 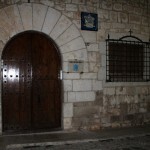 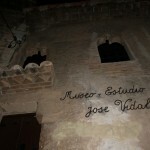 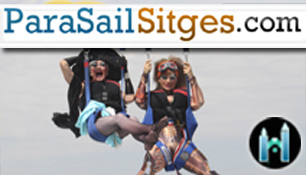 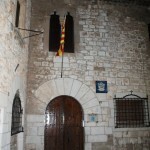 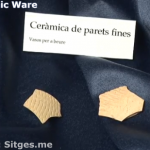 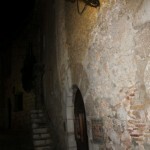 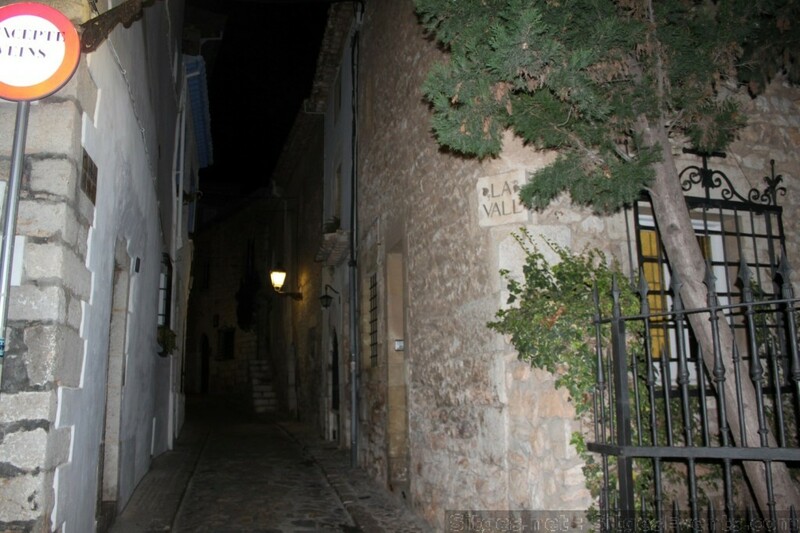 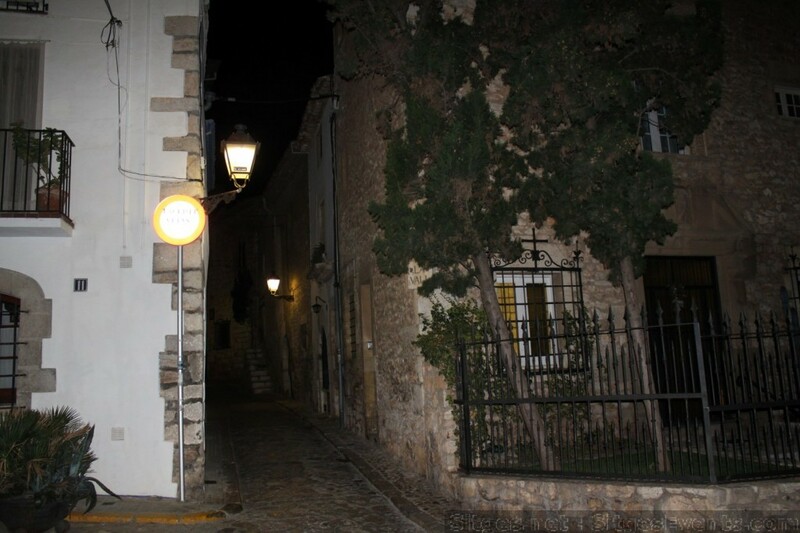 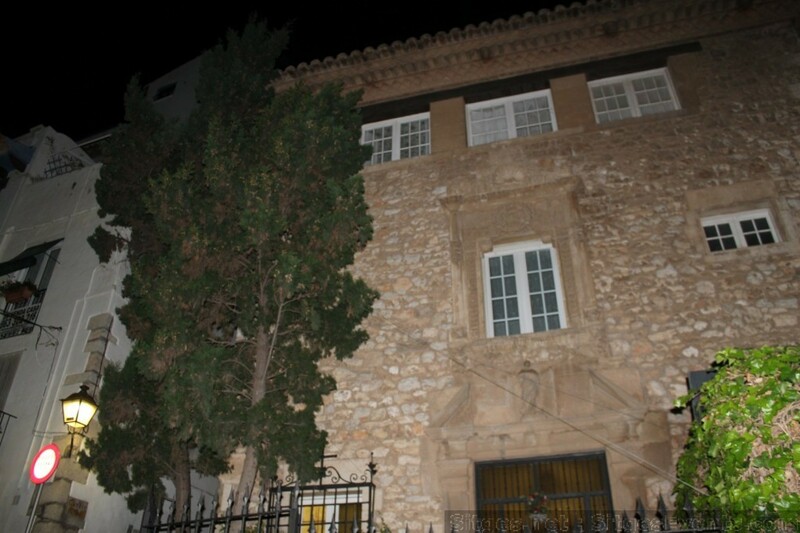 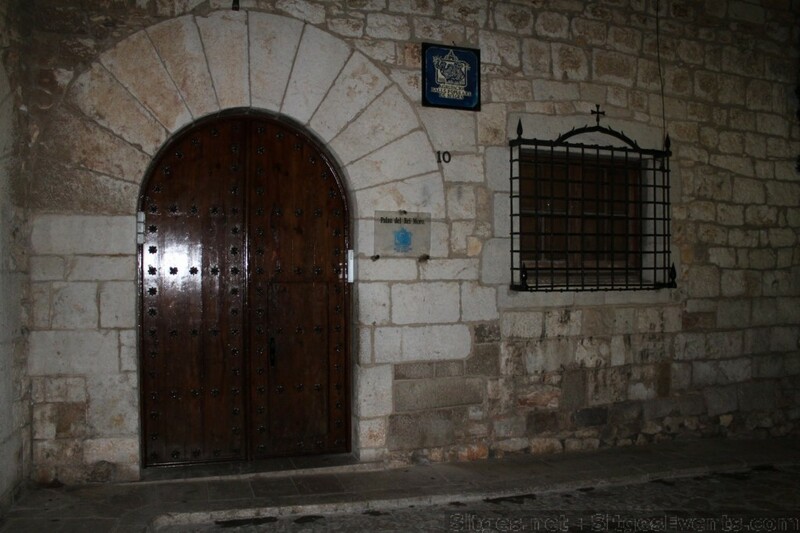 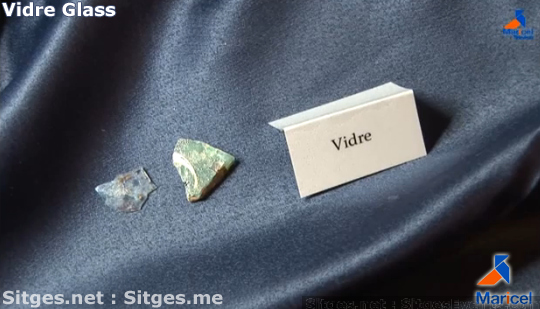 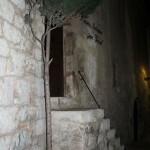 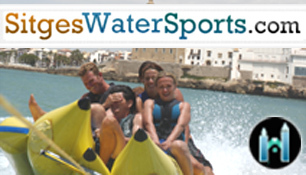 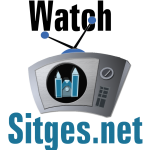 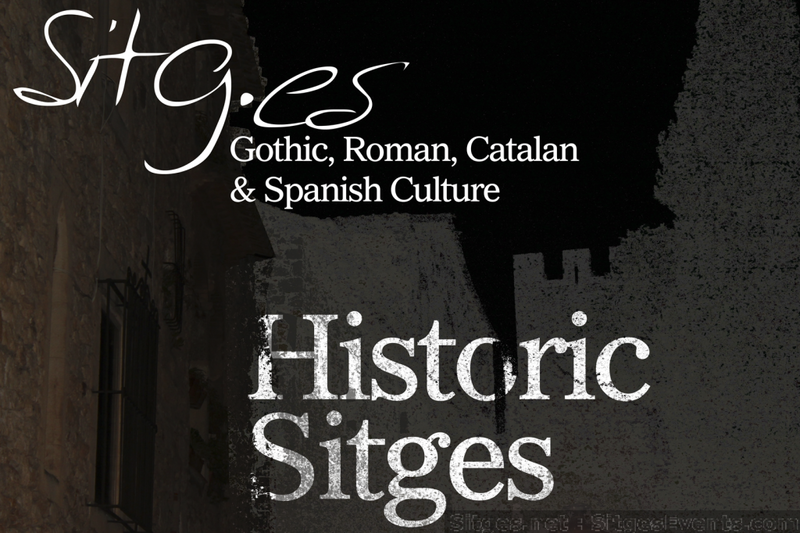 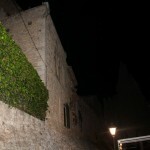 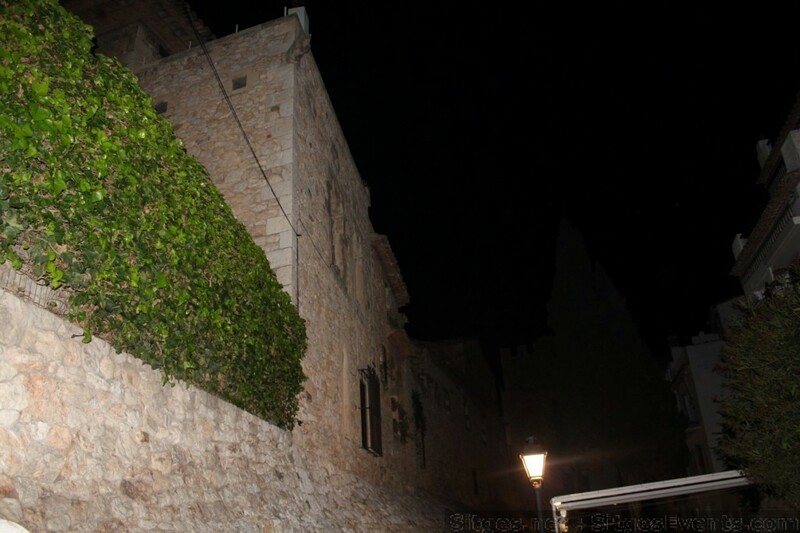 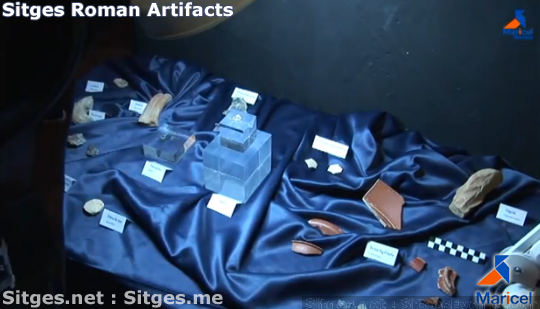 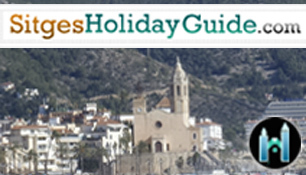 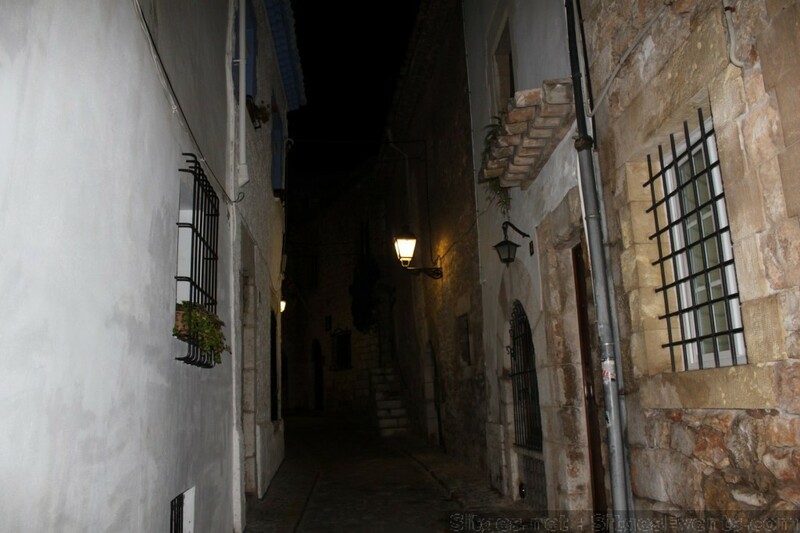 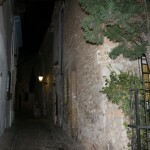 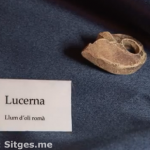 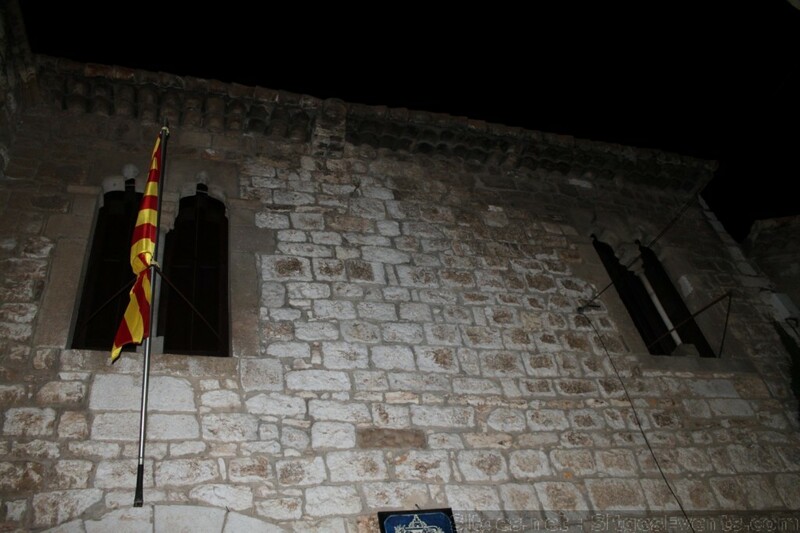 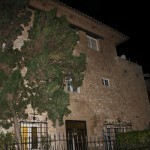 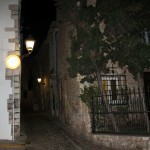 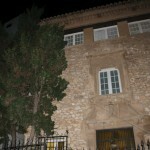 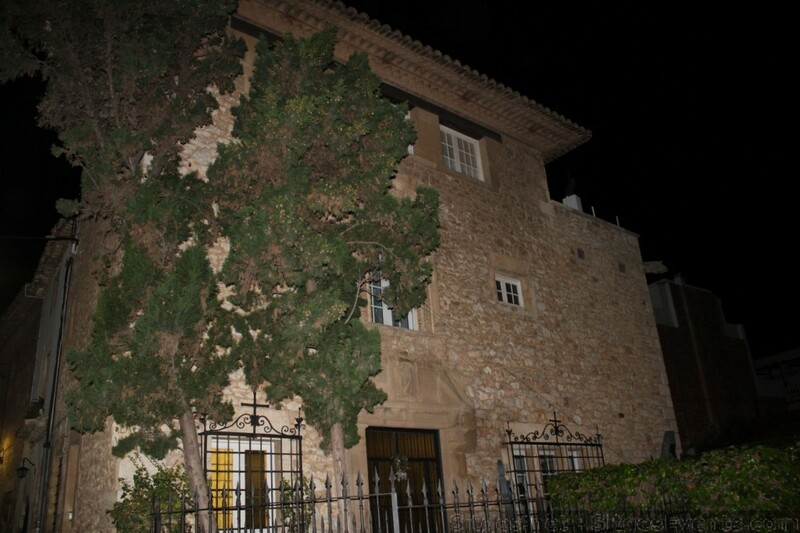 Museums of Sitges will continue to take an active part in the study, conservation and dissemination of the towns past. 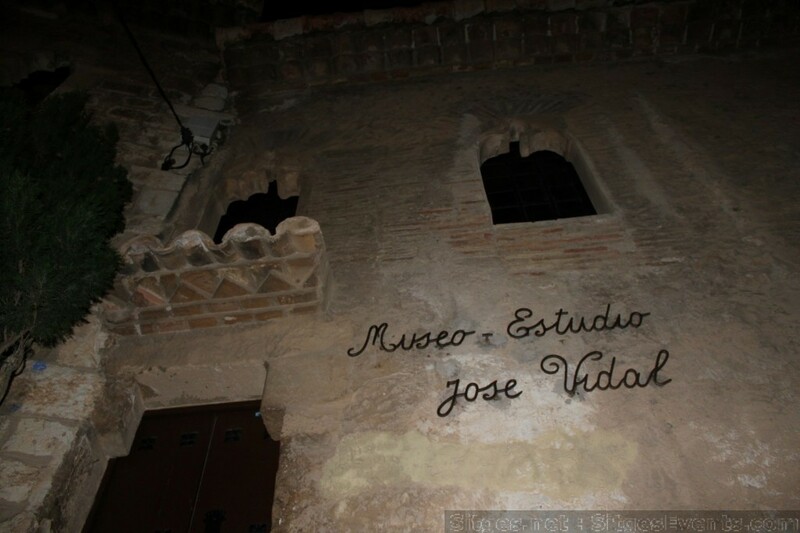 With a long term plan that will provide for future interventions and systematic monitoring of works, and the creation of a permanent exhibition of archaeological pieces that have appeared in recent years. 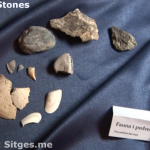 The director, ‘Vinyet Panyella’, has asked the archaeologist ‘John Garcia Targa’ to study and collect local finds.